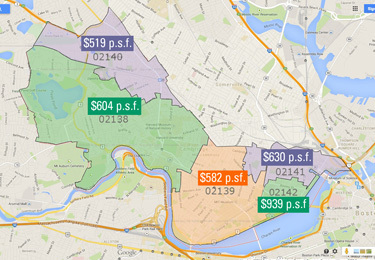 Many buyers in Cambridge and Somerville define their home search criteria by zip code. Each zip code is a sub-market within the two cities. In this issue we analyze the differing real estate values in each zip code by comparing prices per square foot for condominiums.